IKEA has introduced smart functionality into its new Trådfri lighting range, as it takes its first major step into the Internet of Things. The range consists of bulbs, LED panels and cabinet doors that can be controlled using a remote or app. Sensors are an optional extra, allowing the lights to switch on and off automatically when someone enters or leaves a room. As well as turning the lights off and on, users can select their optimal brightness and warmth, and using the app, create presets for different times of day. 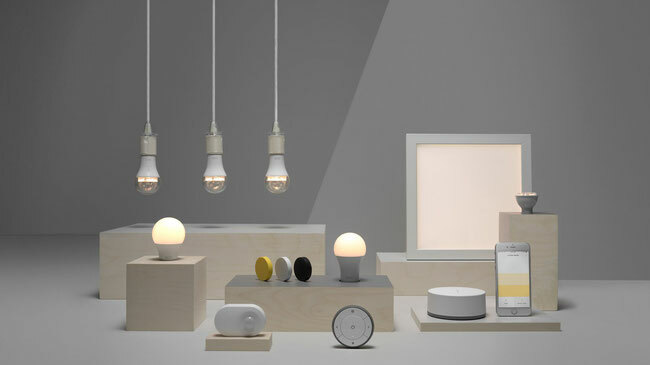 Trådfri is the second release to come out of the IKEA Home Smart programme after its wireless phone charging products, and the first to allow users to make use of the Internet of Things to remotely control or automate their household appliances. The Swedish furniture giant is particularly targeting customers who may be put off by the complexity of other smart-home gadgets. Basic kits start from just £15, and IKEA recommends users start with the remote control. If they're interested in more advanced technology, they can integrate the app and sensors. "I would say Smart lighting is very IKEA, because it allows more of the many people to have better light – at an affordable price," said Björn Block, business leader for IKEA Home Smart. "Think of the Trådfri kits as an entry-level light that you can build upon, that hopefully inspires and encourages you to start experimenting with your light at home."